"The Screen's Master of the Weird... In His Newest and Most Daring Shocker!" The movie described is, in fact, one of notorious director Ed Wood's most infamous, and stars Bela Lugosi in his last speaking role. Some of the events of the making of the film, including the one where Lugosi thrashes around in rubber octopus tentacles, are depicted in Tim Burton's wonderful movie Ed Wood. With short, the first half of Hired! : an internal promotional and training film for Chevrolet, the 50s equivalent of that video they make new Wendy's employees watch. He tampered in God's domain! In addition to Wood as director and Lugosi as mad scientist, this film features the screen presence of Tor Johnson. BRIDE OF THE MONSTER is another example of a movie known for badness, but is at least watchable, which is more than you can say for Coleman Francis' work, or indeed the movie we're watching NEXT WEEK.... It seems the BotM got a sequel, Night of the Ghouls, that was finished four years later but didn't get released until 1987. YouTube (YouTube 1h32m) Premiered January 23, 1993. In all, Jam Handy produced a total of seven shorts that MST3K would riff, including some of the show's most beloved work. Produced by the Jam Handy Organization for Chevrolet. "A middle-aged auto sales manager is having poor results with his staff, so he gets some advice from his hanky-wearing father. " Directed by Edward D. Wood Jr. Written by him and Alex Gordon. Starring Bela Lugosi, Tor Johnson and Tony McCoy. valkane has set up a special "pre-roll" event for 6PM Eastern/3PM Pacific time, one of the most -interesting- movies of the 1960s, and one of MY all-time favorites, "The President's Analyst" starring James Coburn in the title role... an actor best known for playing superspies in a movie where somebody else is the superspy. Written and Directed by a future TV icon and featuring several other future TV icons acting in supporting roles. In a time when 'weirdness' was the major trait of many movie comedies, this one had weirdness with meaning (including a message that still rings true today, 49 years later). I'll be there to try to explain much of it (NOT to riff on it). 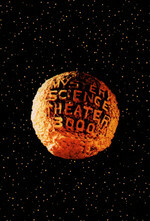 In fact, it RiffTrax or NewMST3K ever try to riff on it, I will NOT be happy. It's a weird movie, but GOOD. The show is tonight at 9 PM Eastern Time, at: https://cytu.be/r/Metafilter_MST3KClub. Here is the (somewhat outdated) Club FAQ. Hired! The Musical is my all-time favorite host segment.